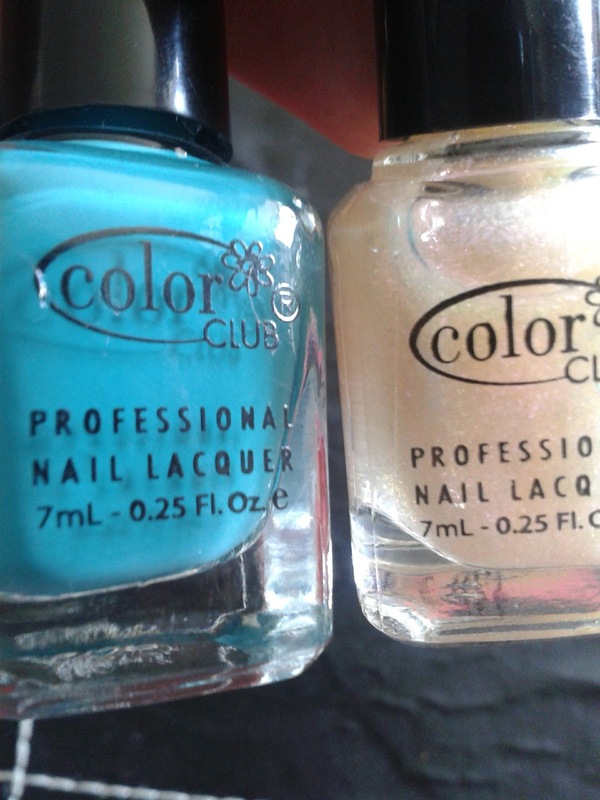 So thanks to a very helpful post on the British Nail Bloggers Group by Megan Box Nails about TK Maxx having loads of new collections in I managed to snag these lovelies by Colour Club for a bargain price! I bought the entire full size Take Wing collection for only £7.99 and four minis from the Kaleidoscope collection for £3.99. I could have walked away with five complete collections but as this is my first dabble with Colour Club I did a cheeky Google of swatches and went for the eye catching glitters and the sample of Kaleidoscope. First we have Take Wing. This collection is beautiful, and although I am yet to try them all I can already tell that I am going to love every polish in that box! 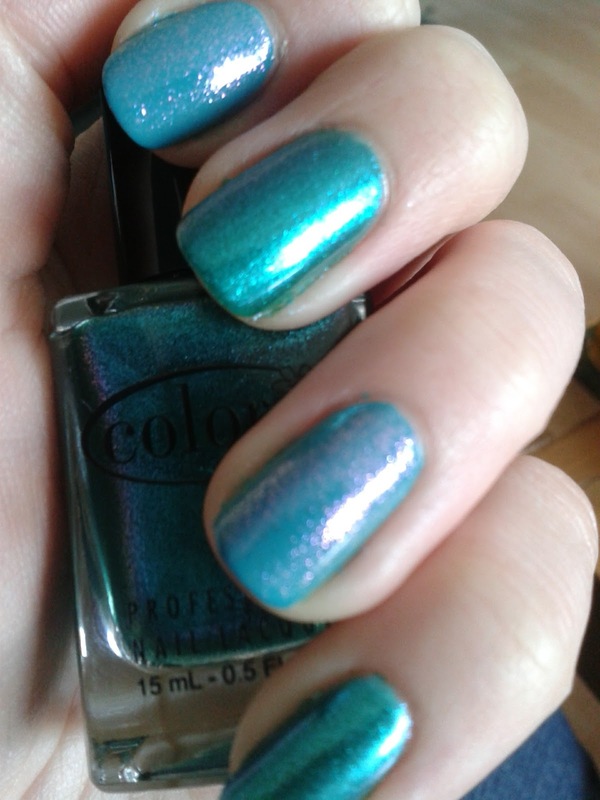 The colours are (from left to right) Daisy Does It - Sparkle and Soar - Fly With Me - Metamorphosis - Sky High - Wing Fling. I have been struggling with the best way to describe these polishes - I believe the technical nail term would be duochrome. They are all beautiful hi-voltage shimmers, with hints of other colours in among the glass flecks. They apply rather thinly but are super easy to build up. They are almost foil-like in finish with a sheen reminiscent of the best metallics. I recommend a fast dry topcoat though as by the time I had applied enough layers to be thick enough for my liking it too nearly an hour to dry! 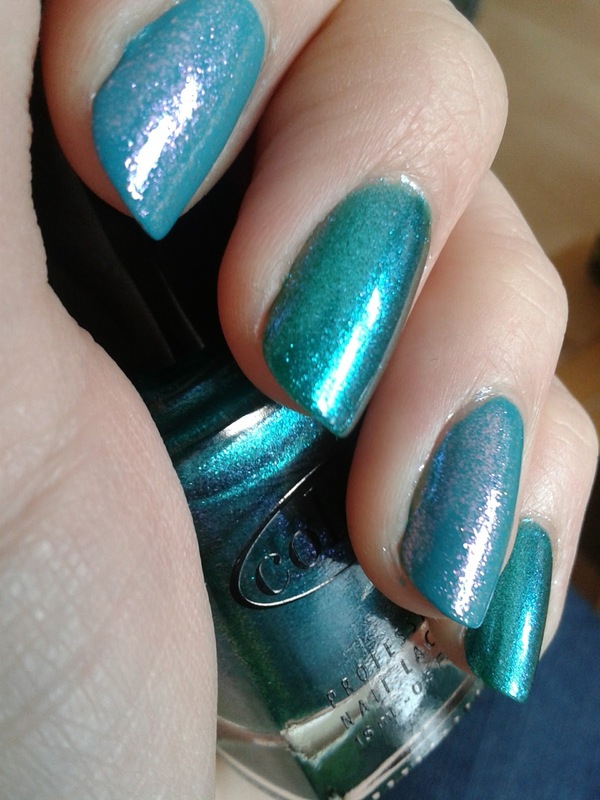 I ended up taking off most of the polish on my thumb on my way out the door when I put my keys in my bag, so I had to go back inside to fix it! In my book - these are must haves! So ladies- get to your nearest TK Maxx on the double! 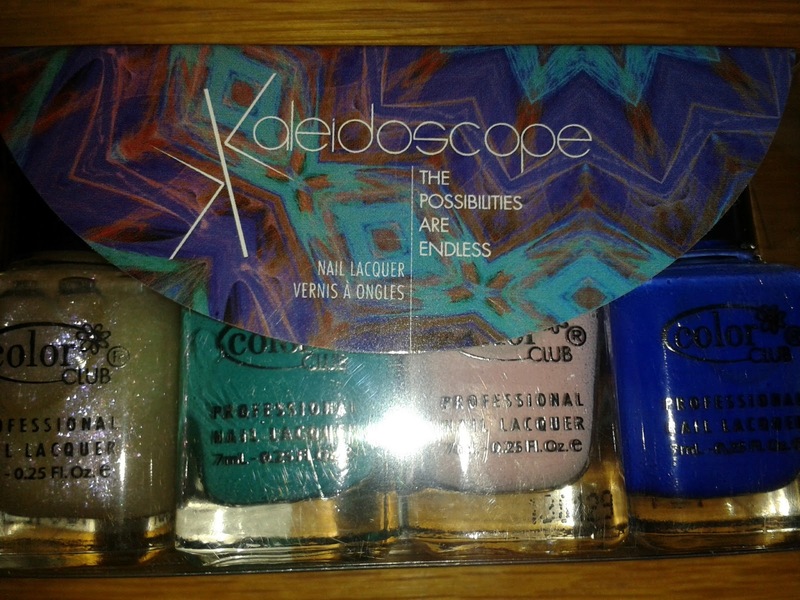 The reason I never bought the entire collection of Kaleidoscope was simply because I wasn't as blown away by the crème, solid colours as I was by the sparkly duochromes of Take Wing (Magpie alert! ), and also the mini bottles are still a pretty decent size. The only colours missing are In Theory and Evolution - a sky blue and a coral pink, both of which I probably have dupes of. The colours in the box are (from left to right) Pearl Spective, Abyss, Endless and Bright Night. 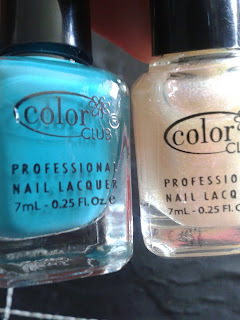 The last three are solid, highly pigmented crèmes and Pearl Spective is the iridescent top coat. 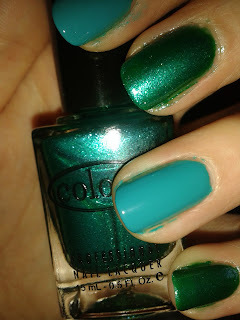 For my first Colour Club mani I went for the green polishes to match the green dress I wore to an interview today. I wore Metamorphosis on my thumb, middle and pinkie with Abyss on my first and ring fingers. I should point out the Abyss is a LOT more green in person, almost like a blue toned Jade colour. 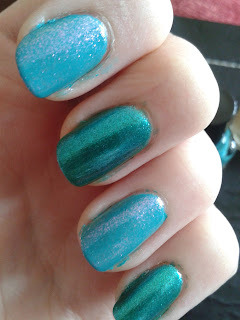 I then added a top coat of Pearl Spective over Abyss to bring a bit more glitz to the mani. 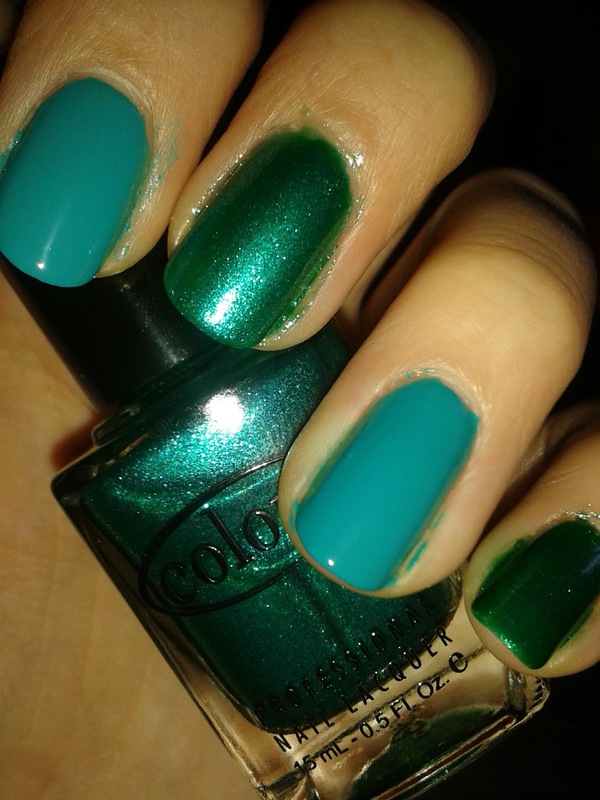 OH MY NAILS this is pretty. This is only a small handful of the pics I took to try and get the colour right. It's a gold ish based top coat with a pink sheen to it in the right light. It is so lovely! 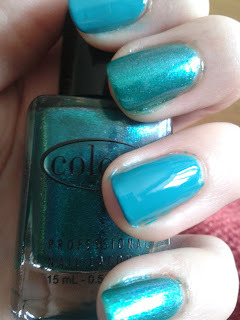 So overall a very good first experience with Colour Club! Keep your eyes peeled for heavy use of Take Wing in the future!